Many high school students fear the dreaded SAT. The three hour and 45 minute test has always played a significant role in what college someone will go to. At the beginning of this month, College Board announced major changes to the SAT. The “new” SAT, will be administered to the class of 2017, or this year’s freshman. Among these changes was a substantial revision to the writing portion of the test, which was revised heavily in 2005. The current writing test, or essay, is a task where students are required to use personal experiences or values to answer a prompt. Unlike the old test, the essay will be optional for students to write. Students who choose to write it are asked to read a passage and analyze how the author uses evidence, reasoning, and stylistic elements to form an argument. Throughout the reading section of the SAT, there will be questions which ask students to cite where they have gotten their answer. The analyzing ability of students plays a vast role in this new test. A second change in this test would be the level of vocabulary that the students must know. Students will no longer have to know words like “ebullient” or “multifarious” going into the test. Instead, the College Board will use words such as “synthesis” or “empirical”. College Board claims it will use words that are commonly used in college. One of the most significant things that will change on the new test will be the scoring system. On the current test, students are scored out of 2400, and get deducted ¼ of a point for each question they answer incorrectly. This does away with test taking strategies, as the need to omit questions is gone. Besides those who wish to take the essay portion, the new test will be on the original 1600 scale. The essay will have a separate score. Lastly, one of the differences we see is the choice for students to take an electronic version of the test instead of the printed paper version. We continue to gravitate toward technology and away from paper. These new changes must mean something is wrong with the current test. A large problem that arises from our current test has to do with money. Those of you who know organizations such as Summa Education and Elite Educational institute may be able to guess why. Families who have the money to pay $3000 dollars for a student to prepare for the SAT have a distinct advantage over those who don’t. It seems like they are modeling the revised SAT over the ACT. College Board is trying to level the playing field. They are working with Khan Academy to provide more free material to the public. Students rich and poor will have access to new material, and new opportunities to ace the test. Whether they decide to utilize what they have, is up to them. 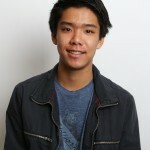 Steven is now a senior at MC, and Co-Editor-In-Chief of the MC Sun. He enjoys playing volleyball and has been playing it for a number of years now. Besides volleyball, Steven enjoys to eat in his free time. He loves Italian food, Hot Cheetos, and anything that's high in sodium. Ted Cruz: presidential candidate or prolific killer?